Once upon a time we all believed in fairy tales, didn’t we? Those exceptionally romantic tales usually had to do with a prince – or princess - a castle and knights in shining armor.While those dashing knights may only exist nowadays in the worn pages of history, fortunately for us fairytale settings - complete with castles and all the romantic trappings that go with them - are abundant in Europe – especially in the very regal Portugal. 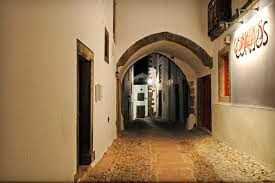 For an unusual experience, you have to visit the magical medieval village of Marvão. Perched on a high rocky pinnacle in the Alentejo region not far from the Spanish border, it promises an evocative stay. Completely surrounded by thick stone walls dating from the 13th to 17th centuries, Marvão is about a two-hour drive west of Lisbon. It offers a privileged peek into Portugal’s storied past while dishing up some of its most typical cuisine, local lore and remnants of Roman ruins. In recent years, it has become a favorite escape for Lisbon residents in search of a weekend respite. To enter the tiny town, you pass through an archway, just wide enough to fit one car. Beyond that, you’ll find a tangle of winding, cobblestone streets housing a collection of white-washed homes with terracotta roofs, quaint cafés, typical shops and bakeries conjuring up the same tasty treats made by their ancestors centuries ago. The jewel in the crown of this “head in the clouds” village is the dominant castle built by King Dom Dinis in the 13th century as a fortress to stave off the marauding Moors. From the ramparts you get a magnificent 360 degree view of the Serra da Ossa and Serra de São Mamede and the undulating patchwork of flora and granite below, stretching as far as the eye can see. Close to the castle is the fascinating 15th century Santa Maria Church, now the Municipal Museum. The well kept museum houses an overview of the country’s history with a kaleidoscope of excavated pottery, 15th century saints, colorful azulejos (colorful hand-painted tiles drawn from the Moors) and a small room dedicated to the area’s Jewish history. Many Jews fled to the area to escape persecution during the Spanish Inquisition. 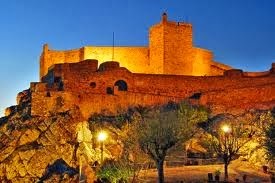 A romantic honeymoon can be booked at the Pousada Santa Maria de Marvão. 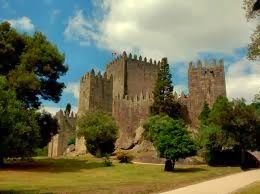 Pousadas are government-subsidized inns, typically tucked into former castles, convents or villas. This one - located in a clutch of medieval buildings along one the town’s narrow winding cobblestone streets - offers a nod to the past, with modern-day amenities, intimacy and a touch of class. The Pousada’s cozy cliff-top restaurant specializes in grand views of the valley along with robust regional wines and typical Alentejo dishes. Special packages are offered throughout the year. Marvão is the perfect spot from which to explore other charming historic towns and vineyards in the Alentejo…while savoring a long gone era. Airlines such as TAP, United, American and Delta offer direct and non-stop flights to Lisbon from various US gateways. From there, you can rent a car at the airport and make the two-hour drive. Information about car rentals in Portugal can be found on the Lisbon Airport website, or at: Avis; Budget; AutoEurope and rentalcars.com. As someone who has never been to Portugal where do you suggest I visit? l. How long is the flight from Boston? It depends on how long you have. If you only have a few days, spend them in Lisbon. If you have longer, then definitely explore places such as Coimbra, Porto and the Douro Valley. There's really so much to see - including wonderful stays in castles and manor houses. Lisbon is only about 6 hours from Boston! You can definitely spend a few days in Lisboa and doing day trips from there. 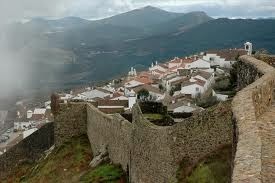 We took a public bus to the castle at Sintra and an intercity bus to the little town of Evora. You can also take a commuter train down the coast a bit to the seaside resort towns of Estorial and Cascais. "S" in these words are pronounced "Sh". BTW, if you're used to the romance language sounding Portuguese of Brazil, you will notice that the Portuguese spoken in Portugal almost seems to have a slavic sound and to my ear was harder to understand. There is a bit of antipathy between the Portuguese and Spanish (still). I thought more people would understand me if I spoke Spanish, but they much prefer to converse with you in English. I agree, Suzanne. There is a lot of antipathy between the two countries. You would thank that after all these centuries, it would have died down! You have whetted my appetite for a trip to Portugal! I'm delighted! You should book a trip there. You won't regret it!